Few BBQ pitmasters have the culinary credentials to match Aaron Siegel of Fiery Ron's Home Team BBQ. After graduating from the University of Georgia, he attended the Culinary Institute of America. Later, the Georgia native worked as a sous chef and finally as an executive chef in fine dining restaurants in Aspen, CO and Charleston, SC. Aaron became interested in combining the fine dining skills he'd gained with the Southern comfort food he'd been raised on. In 2006, Aaron opened Home Team BBQ in Charleston. He styled the restaurant after a Mississippi juke joint and created a menu that blended BBQ traditions from all across the country. Over the last five years, Home Team BBQ has earned the reputation as one of the best BBQ joints in the Charleston area. Many of Aaron's menu items have earned acclaim from various publications. The restaurant itself, has also gained notice as a bar and blues club. The Charleston location was so successful, that Aaron opened his second restaurant on Sullivan's Island in 2009. Several of Home Team's smoked meats as well as their rub and sauce can be ordered by mail. A simple phone call or email to either Home Team location is all it takes to have their products sent directly to your door. After an email inquiry from The "Q" Review, Aaron was kind enough to send me a large jug of Ron's Dry Rub. Though I typically enjoy sweet rubs, Ron's Dry Rub's diverse flavors were a welcome alternative. 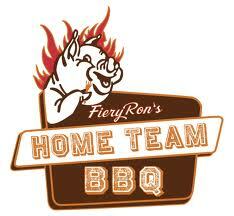 For more information about Fiery Ron's Home Team BBQ, click the title of this review. 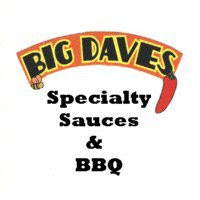 If you ever find yourself on the South Carolina coast in search of BBQ, blues or cold beer, look up one of the Home Team BBQ locations. See how Ron's Dry Rub compares to other spice rubs on our "Product Reviews" page. 0 Response to "Fiery Ron's Home Team BBQ"